North Central Nigeria (also known as the Middle-Belt region) consists of the seven states situated geographically spanning from the west, around the confluence of the River Niger and the River Benue. The region itself is rich in natural land features and boasts some of Nigeria's most exciting scenery. The region is also home to many historical and colonial relics. Abuja created in 1976, is the capital city of Nigeria, and as such the region harbours most administrative buildings of the government of Nigeria. Abuja only attained the status Nigeria’s Capital on the 12th of December, 1991, when all administrative offices were officially moved from Lagos. The site for the new capital was chosen because it’s a central location with easy accessibility, favourable climate, relatively low population density, and the availability of land for future expansion. Not only was the city planned, but the entire environment is a beauty to behold. Abuja is dotted with abundant tourist sites and is surrounded by many hills, highlands, Savannah grassland, and Tropical Rainforests. The 2006 census records that the city of Abuja had a population of 76,298 persons, which makes it one of the ten most populous cities in Nigeria. 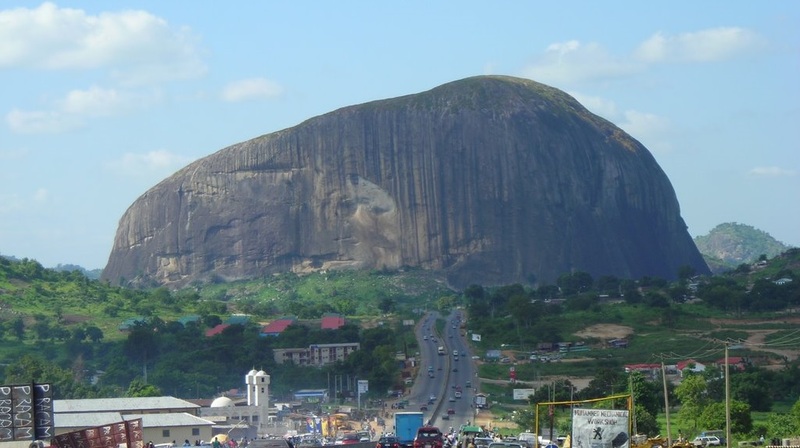 Abuja's landmass is characterised by Aso Rock, a 400-metre monolith denuded by water erosion. 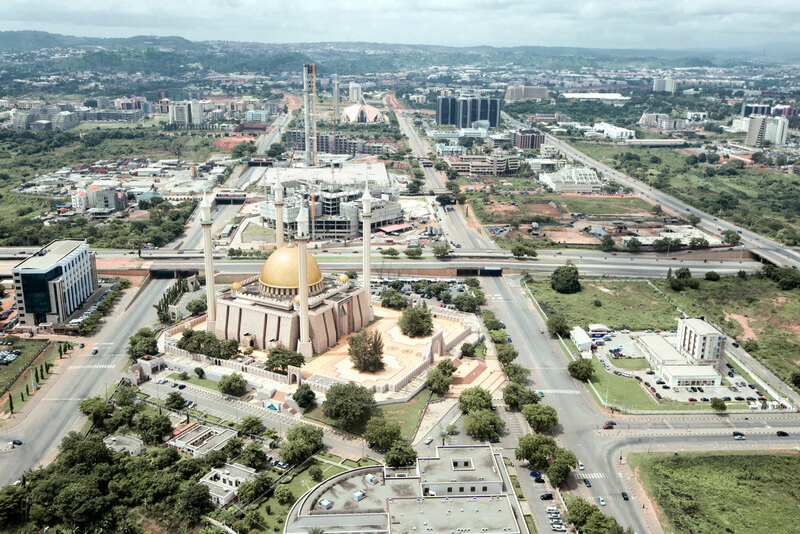 Abuja is a relatively new city, designed in a neutral part of the country that was not traditionally the property of any ethnic or religious group but mainly owned by the Federal Government. However, the indigenous inhabitants of Abuja are the Gbagyi (Gwari) as their major languages include, Bassa, Gwandara, Gade, Ganagana, Koro, etc. Abuja was developed in phases and has three phases, each with a number of districts. Central District lies between the foot of Aso Rock and the Three Arms Zone, to the southern base of the ring road, which in turn circles the city. The Central District with its spinal cord-like orientation divides the city into two with Maitama and Wuse occupying the northern sector, and Garki and Asokoro, occupying the southern sector. This district is the city's major zone, and where practically all government parastatals and multi-national corporations locate their offices. Three Arms Zone is located in this district and named after the three arms of government which have their offices here. It is arguably the most attractive in area in all of Abuja. Garki is to the south-west of the city and is divided into units called areas from 1 - 11. It can be confusing at times, as Garki II is very different from Garki Area 2. Garki is the main business district in Abuja. Area 2 is mainly residential, although quite a few commercial offices are also located there. Wuse District is in the north-western part of the city. The district is numbered zones 1 - 8. The Wuse Market is Abuja's main market (zone 5). In the north of the city of Abuja we have the Maitama district. This is an exclusive area, with expensive properties and real estate. This district is home to many of the embassies located in Nigeria. Asokoro District houses all of the state's lodges and guest houses. It is another exclusive district of Abuja and houses virtually all of the federal cabinet ministers and also the Presidential Palace (commonly referred to as the Aso Rock). Asokoro is very secure for this reason. Gwarimpa is about 20km by car from Central District. Gwarimpa is home to the largest housing estate currently in Nigeria, the Gwarimpa Housing Estate. 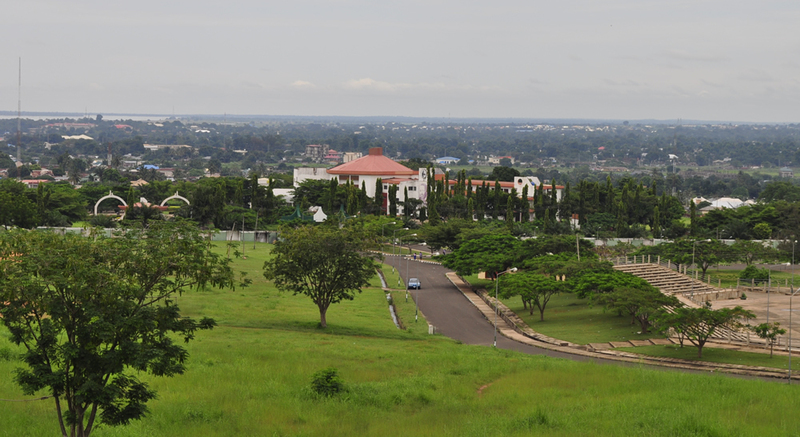 The estate was built by the administration of General Sani Abacha and is the largest of its kind in Africa. It provides housing for the majority of the civil servants in federal ministries and government parastatals. Benue State is located in the mid-eastern region of Nigeria and it has a population of about 4,256, 641 (2006 population census). The state was carved out from the former Benue-Plateau State in 1976 and was named after the River Benue. The capital city is Markurdi and their main ethnic groups are Tiv, Idoma, Igede, Etulo and Abakwa. Benue State shares boundaries with Nasarawa State to the north, Taraba State to the east, Cross River State to the south, Enugu to the south-west and Kogi to the west. Due to the geographical location, Benue is often thought of as the 'food basket of the nation', as it has a rich agricultural region. Some of the crops grown in the State are: potatoes, cassava, soya bean, guinea corn, flax, yam, sesame rice and groundnuts. In a bid to encourage higher education among it citizenry, the state has three universities: Federal University of Agriculture, Benue State University and University of Mkar. It has two polytechnics: Benue State Polytechnic and Fidel Polytechnic. Kogi state is located in the central region of Nigeria, it was carved out from parts of former Kwara and Benue States on August 27, 1991 with Lokoja as the administrative headquarters. Lokoja which is the first administrative capital of modern-day Nigeria, is steeped in Nigerian history as the name "Nigeria" was coined there by Flora Shaw who became the wife of Baron Lugard (a British colonial administrator in the colonial era). Kogi State is popularly called the "Confluence State" because of its location. The State is located at the meeting point of the Rivers Niger and Benue; the confluence of both rivers. It has 21 LGA’s comprising of several ethnic language groups. But the three main ones are: Igala, Ebira, and Okun. Other minor groups include Nupe, Oworo, Bassa Nge, Bassa Komo,Kakanda, Kupa,Gwari, etc. Education is the state's main social industry. There are more than 20 institutions of higher learning presently in the state comprising: State University, Polytechnics, Colleges of Education, Colleges of Education, Advanced Teachers Colleges, Health Technology Colleges, Schools of Nursing and Midwifery. In addition to this, Farming is popularly believed to be the main occupation of Kogi people and crops produced include yam, cassava, rice, maize, beans, guinea corn, soya beans and millet. The state is blessed abundantly with precious mineral resources such as columbite, aquamarine and coal. Kogi State has beautiful places and points of interest to visit such as: Lord Lugard's House (He was a British colonial administrator in Nigeria), the confluence of the River Niger and Benue, World War Cenotaph, Lokoja, Mount Patti, Lokoja, The Iron Liberty, Awo Tunnel, Awo Tunnel, Koton-Karifi, etc. Kwara State is located in the western part of the Middle-Belt and was carved out of the former Kwara and Benue States in 1991. The State was created on May 27, 1967 under the Military regime of General Yakubu Gowon. It was among the first of 12 states created to replace the nation's four regions. The state was initially named the West Central State but was renamed Kwara (a local name for the river Niger) when more states were carved out of it. Kwara State is also referred to as 'The State of Harmony' because of the peaceful relations among its many ethnic groups, which include Yoruba, Nupe, Bariba and Fulani tribes. 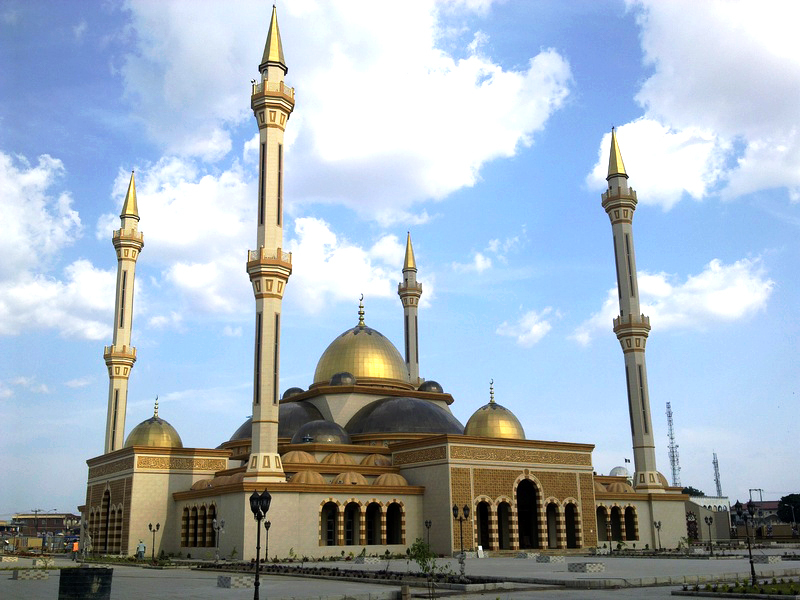 It has its capital in the ancient city of Ilorin, with a history that dates back to the Oyo Empire. Owu FallOkuta Ilorin, Awon Festival, Alfa Alimi Mosque, Imoleboja Rockshelter, Adin and Black Soap Industry, Dada Pottery, Illorin, Kanji Lake National Park, Ogunjokoro Iron Mass Park, Ningurume Fish Pond, Esie Museum, Ero-Omola, Watana Rock, Owe Kajita falls, Tomb of past Emirs, Ubo Aiyegun Lakes,Wanzaya Cave, Mungo Park Cenotaph, Jebba, Esie Museum, Esie, Patigi Beach, Asa Dam, Patigi, Ahoyaya Falls, Jebba, Remains of Mungo Park’s wrecked boat etc. Nasarawa State was created in 1996 with its capital as Lafia and has an estimated population of 1.5 million people. 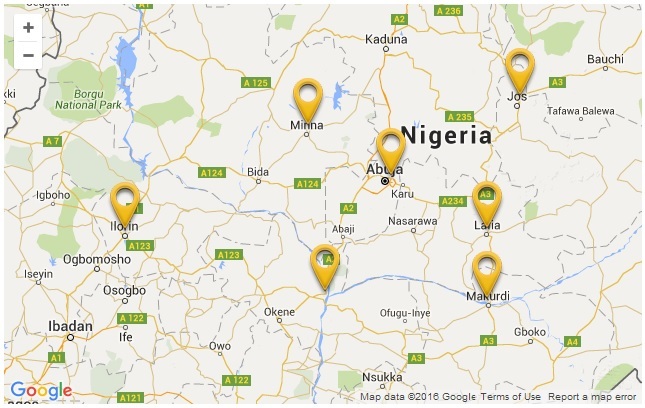 The state shares boundaries with Kaduna, Benue, Plateau, Taraba, the Federal Capital Territory and Kogi State. Nasarawa also has 13 Local Government Areas and the various ethnic groups within the state include: Alago, Aho, Ake, Agatu, Bassa, Eggon, Gwandara, Hausa and Kanuri, amongst others. Some important cities and towns include Lafia, Akwanga, Keffi, Karu, Wamba, Eggon, Doma, Nasarawa, etc. 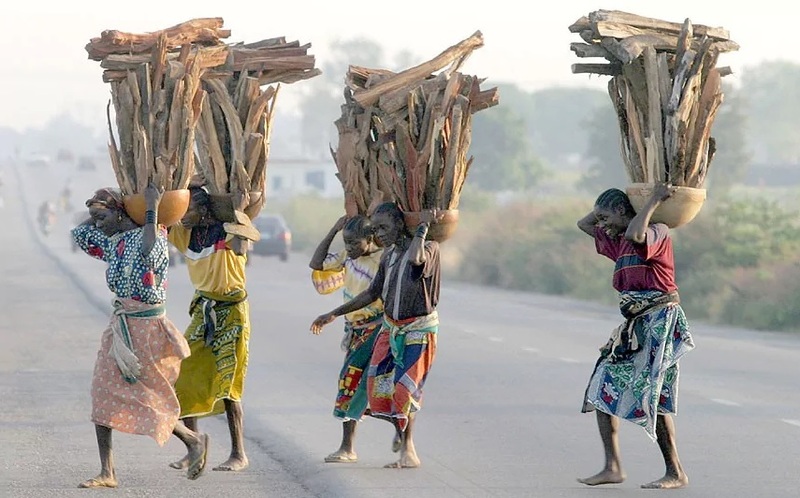 The major occupations of the people in Nasarawa include farming, fishing, dyeing, weaving, carving and blacksmithery. The state is also endowed with various mineral resources that offer potential for economically viable industrial and agricultural development projects which include: tin, marble, coal, semi-precious stones, barytes and aqua marine. There is also plenty of untapped energy resources - hence the slogan 'Home of Solid Minerals'. 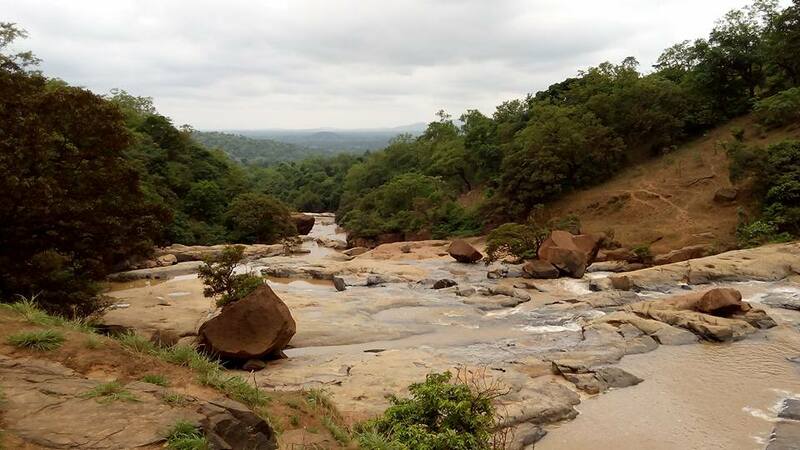 Farin Ruwa Waterfall (Situated between the boundary of Bokkos and Wamba Local Government Council), Dyeing Pits & Calabash Carving, Lafia; Eggon Hills & Caves (the rocks are shaped like inselbergs and kopjes); Umaisha River Bank Resort, Peperuwa Lake, Oku Akpa Rock and Picnic Centre, Numan Rocks & Hills (located at the outskirt of Andaha town), Akiri Warm Spring; and many others. Niger State is in the north-western region of Nigeria and it is the largest of the states in the country. Minna is the state capital and other major cities include Bida, Kontagora and Suleja. Niger State gets its name from the River Niger which forms one of its natural borders. Due to its location, Niger State is home to two of the country's major hydroelectric power stations: the Kainji Dam and the Shiroro Dam - hence why it is called the 'Power State'. The 3 principal ethnic groups here are the Nupe, the Gwari and the Hausa. Other minority groups include the Koro, the Kadara, the Kambari, the Kamuku, the Pangu, the Bassa, the Bauchi, the Fulani, etc. Niger State is also home to Kainji National Park, the largest National Park in Nigeria, which contains Kainji Lake, the Borgu Game Reserve and the Zugurma Game Reserve. The state has several ethnic groups including; Nupe, Gbagyi, Hausa, Kadara, Koro, Barab, Kakanda, Gana Gana, Dibo, Kambari, Kamuku, Pangu, Dukawa, Gwada and Ingwai. 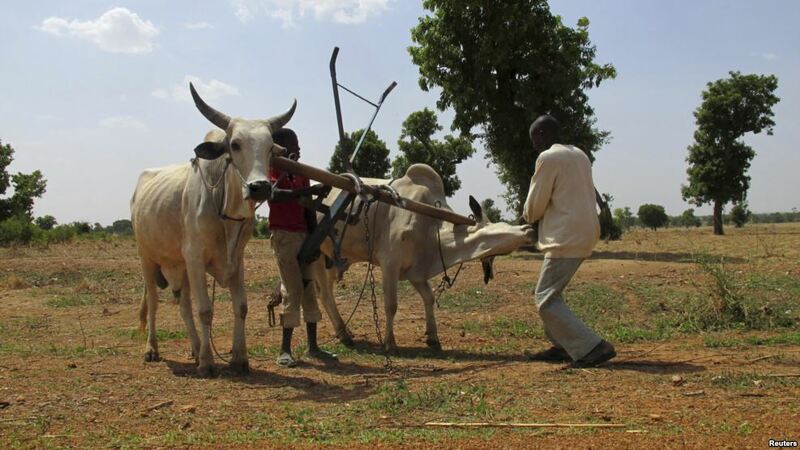 The population of Niger State are primarily farmers. Gurara Fall, Zuma Rock, Shiroro Dam Tourist Resort, Mayanka Falls, Nagwamatse Well, Kainji National Park, Borgu Game Reserve and the Zugurma Game Reserve. 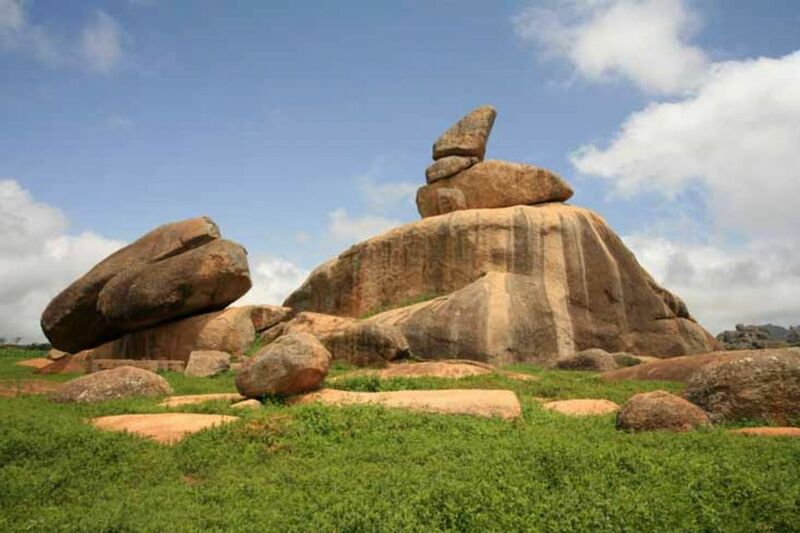 Plateau State known as the 'Home of Peace and Tourism' is considered to be the twelfth largest state in Nigeria, with its administrative headquarters in Jos. The name 'Plateau' was gotten from the picturesque of Jos Plateau, which is a mountainous area in the northern part of the state with a captivating rock formation. The population of the state is place at 4, 178, 712 million during the 2006 census. The main occupation of the people is agriculture and mining (which is an old industry). The altitude of Plateau State is about 1,200 meters, with the region bordered by Bauchi to the north-east, Kaduna to the north-west, Nasarawa to the south-west and Taraba to the south-east. The Wildlife Safari Park, The National Museum, The Museum of Traditional Nigerian Architecture, Jos Zoo, Assop Falls, Kurra Falls, The Shere Hills, Kahwang Rock Formation, Wase Rock, Kerang Highlands, Pamdam Game Reserve.